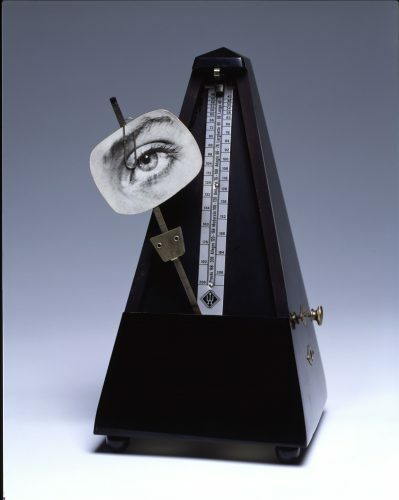 Man Ray, Object to Be Destroyed (Indestructible Object), 1932, edition 1965. Smithsonian American Art Museum, Washington, DC; gift of Samuel M. Greenbaum and Helen Mark families in memory of Helen Mark Greenbaum. Senior curator Valerie Fletcher tours Marvelous Objects: Surrealist Sculpture from Paris to New York and leads a discussion of Surrealist toys and the notion of play in art.